Dutse Rock is found in the capital of Jigawa state on the northwest part of Nigeria. The name Dutse is “rock” in the Hausa language. Just as the city of Abeokuta in the southwest is named after the rocky nature of the place, Dutse, Jigawa state capital takes its name from the abundant rocks in the city during the regime of General Ibrahim Badamasi Babangida a military General in 1991. However, Dutse originated from Kano state, the idea of it independent from Kano state was initiated by Malam Inuwa-Dutse in the 1970s but it was not successfully then. Ever since her independent Dutse has grown to be a very wealthy land bless with other natural resources like trees, sand, stream, and rivers. The natural occurring of solid mineral matter that constitutes a significant part of the earth’s crust or a mass of stone projecting out of the ground or water is called “ROCK”. Dutse rock came into existence because of the crust of the Earth which forms cooling of molten rock either below the surface (intrusive) or on the surface (extrusive); making it to be declared as igneous in nature, these delicate rocks beautifully scattered around the city on each other and are awesome and literally breathtaking to behold. For any lover of nature, a drive through the city is an uplifting visual festival. 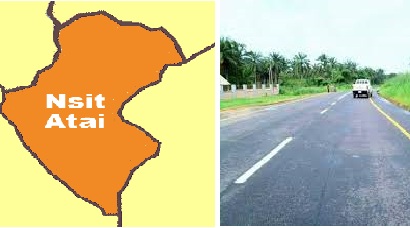 Though the area is rocky but is still has over 153,000 population in Jigawa which are mostly Hausa and Fulani of an Islamic religion. No one can actually conclude about the genesis of Dutse rock but as we all know that Dutse rock is an igneous rock in nature so it is a perfect way to say that this rock has been for ages because its natural resources and the Hausas of Nigeria is very lucky to be in its possession. 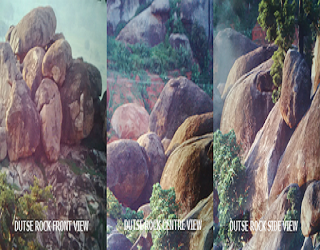 Dutse rock is not only visible in Jigawa state alone but it can also be found in various places like Abeokuta, Asokoro, and Bwari in Nigeria. The minerals and chemical of this rock can be used to study about the Temperature, Pressure, and Composition that are found in the Earth mantle. Rocks of this nature are convection of the tectonic plates. This rocks also host important mineral deposits in them. This rock is highly used for building construction because of the presence of granite, when a coarse-grained element like silica, potassium and sodium are also found in it. It also possesses a layer structure that can be crushed and used for railway, road metal, concrete etc. The fortune has helped the state grow bigger in financial status because a huge amount of this rocks are gathered every day for sales, some even do trade by barter with it, they have quality stones to construct high standard buildings, road, industry etc. This natural resource has contributed a lot to the state of Jigawa, Rock climbing school is open in Dutse because of the rocky environment to prevent people from falling off. The reason for this school is to make individuals confident when climbing the Rock.